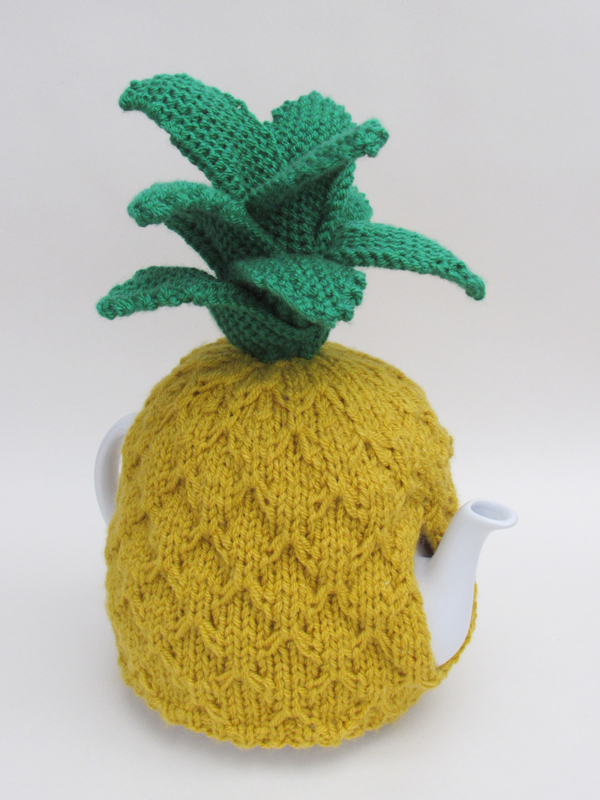 I was asked to design a pineapple tea cosy. 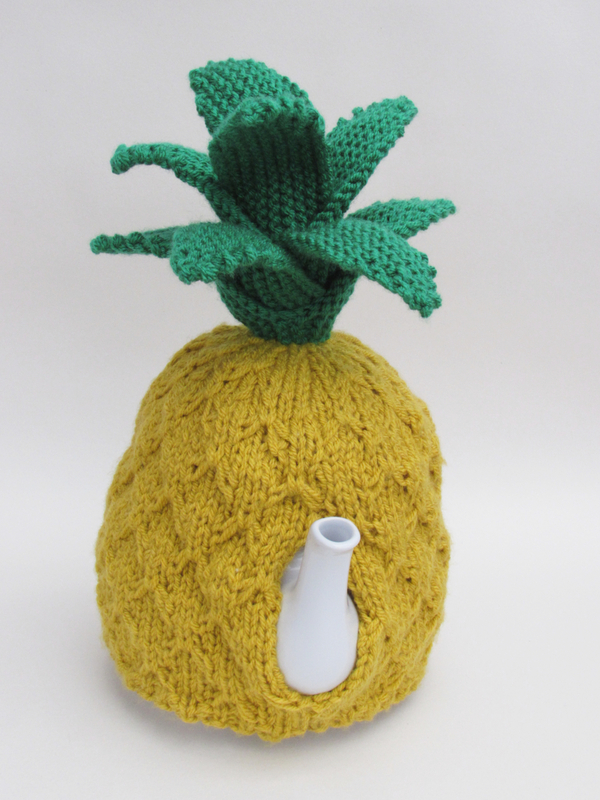 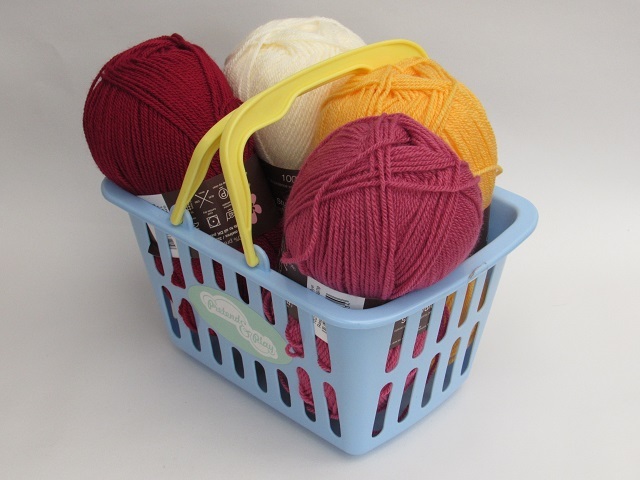 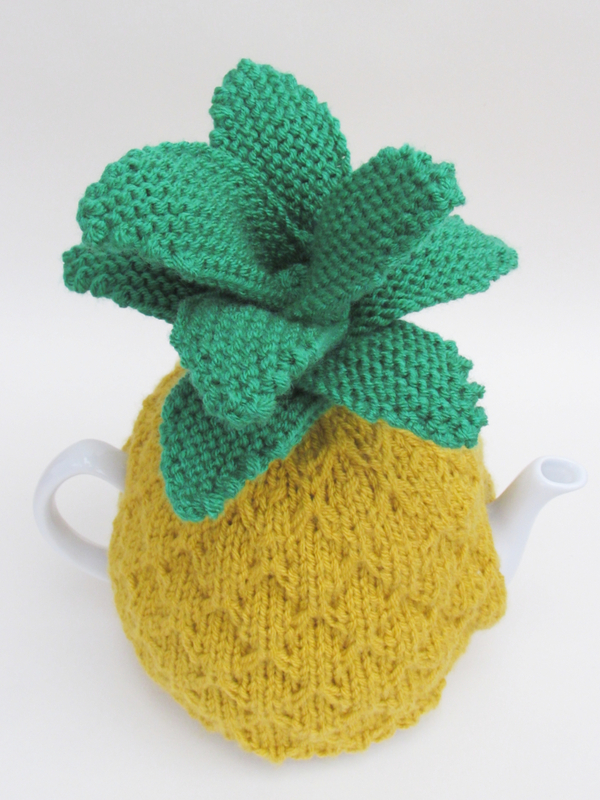 Pineapples are so on trend and lend themselves to tea cosies; being that kind of shape. 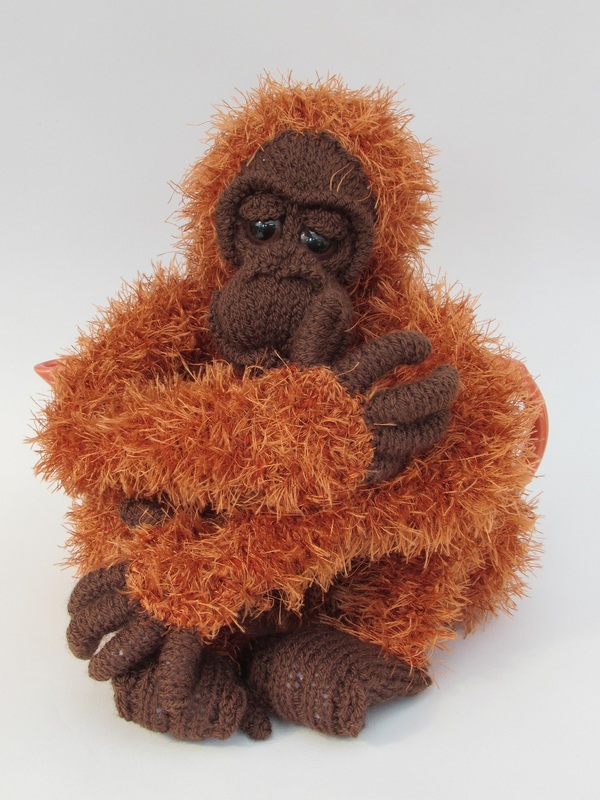 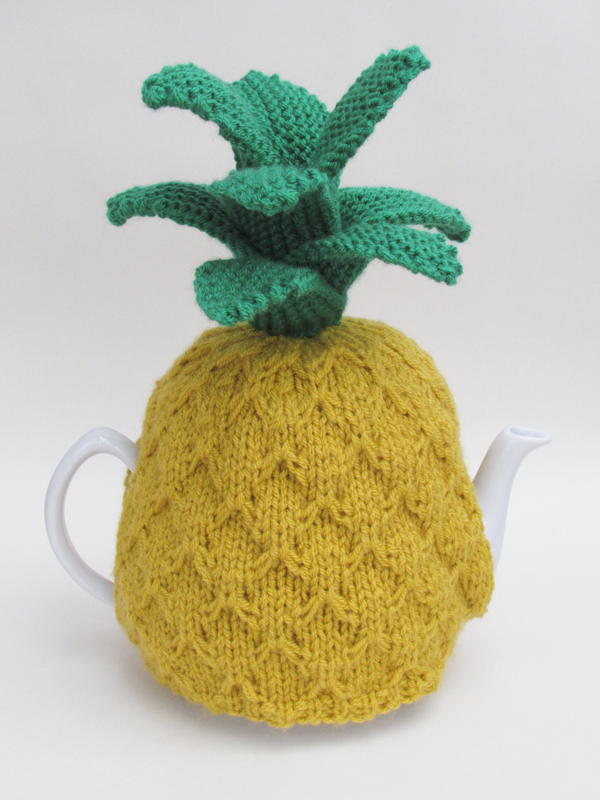 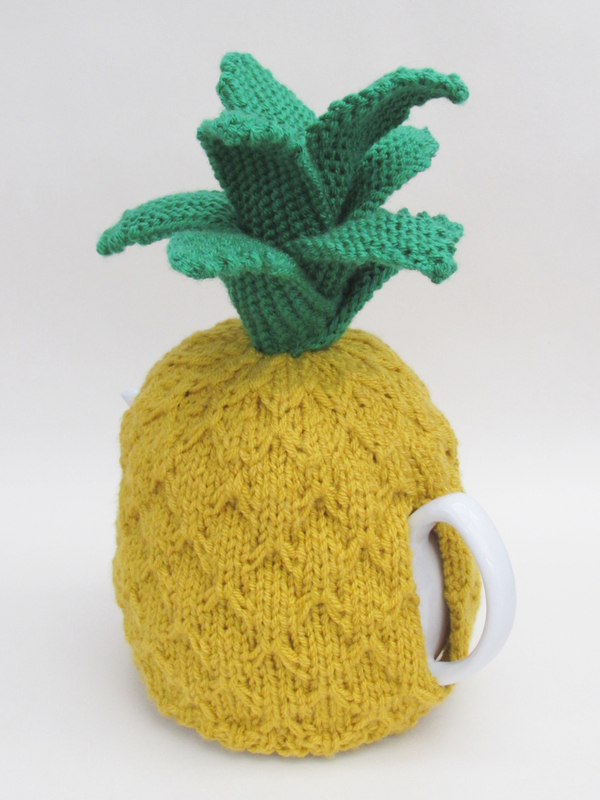 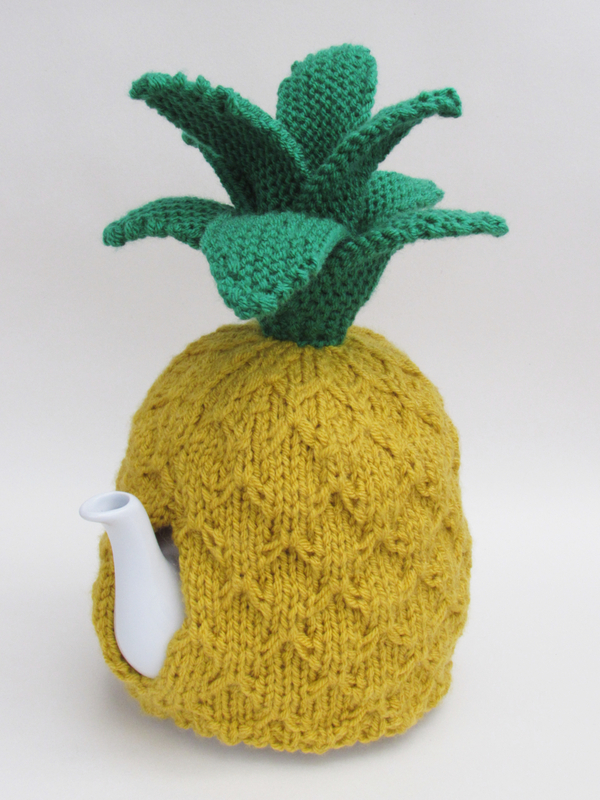 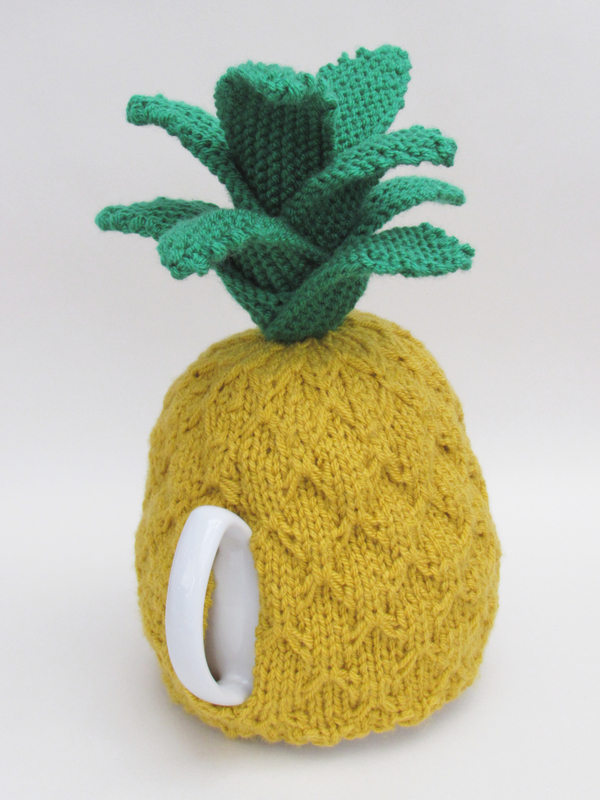 I have seen a lot of pineapple tea cosies and I needed to bring something different to my design. 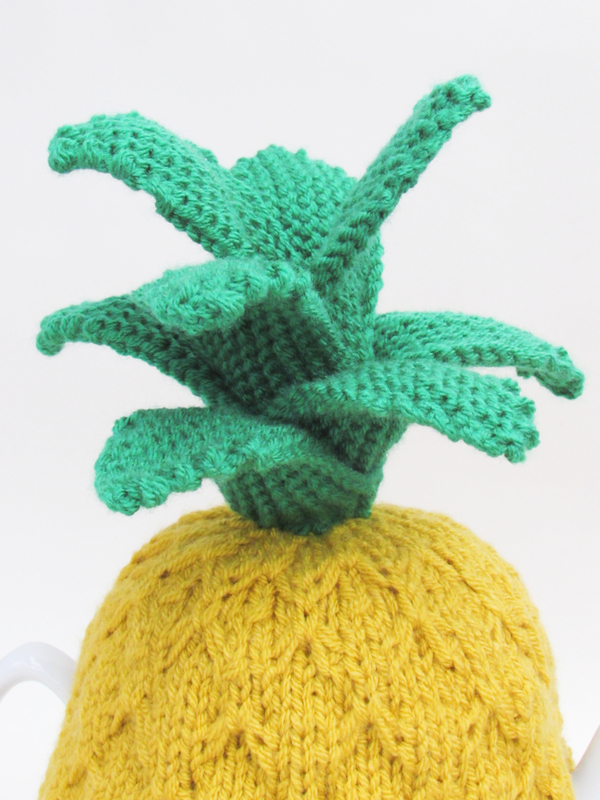 I wanted to use texture for the main part of the fruit and it's an interesting pattern to knit, perfect if you want to try something a little different. 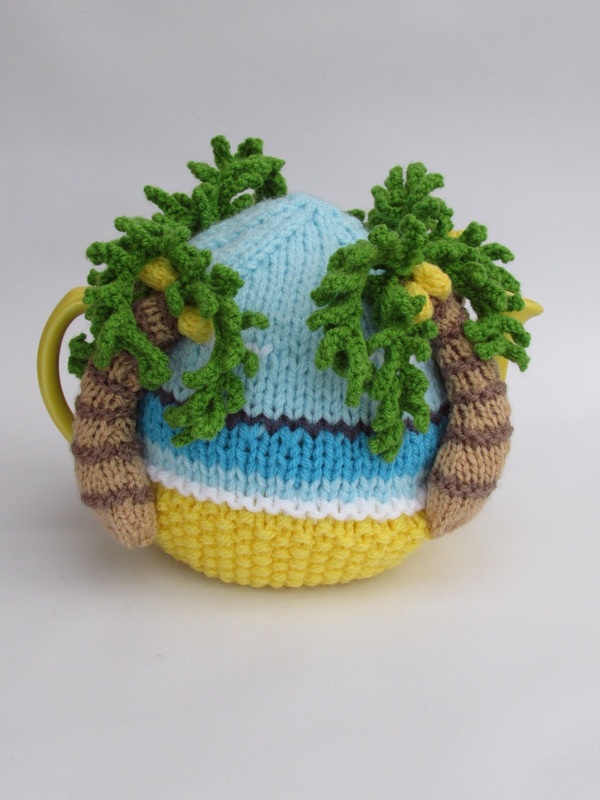 I wanted the leaves to stand upright. 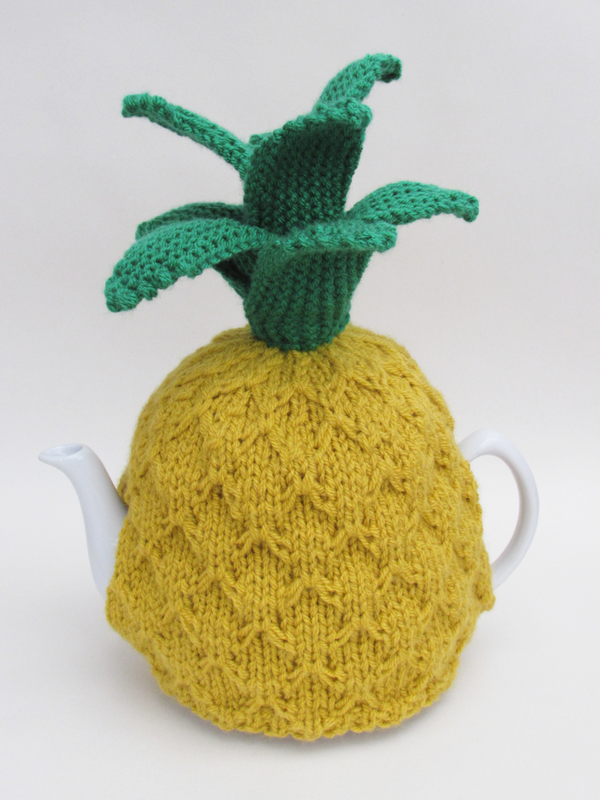 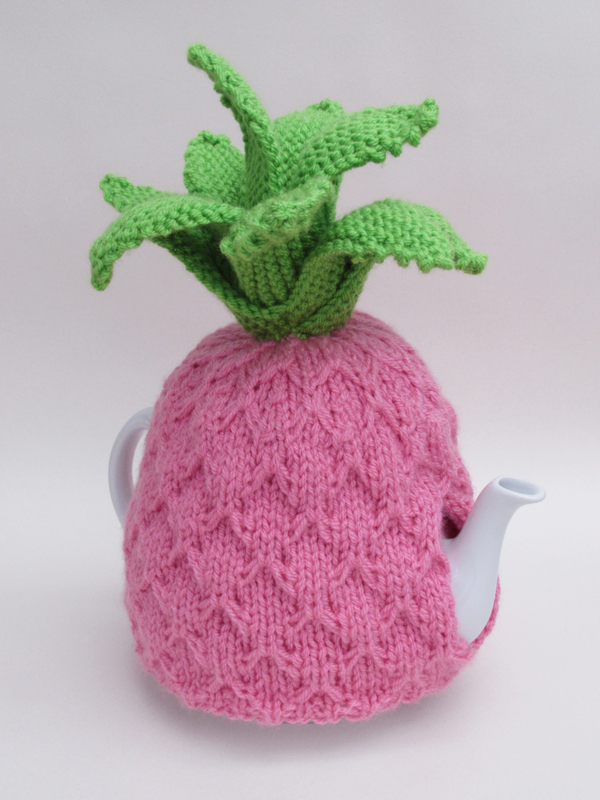 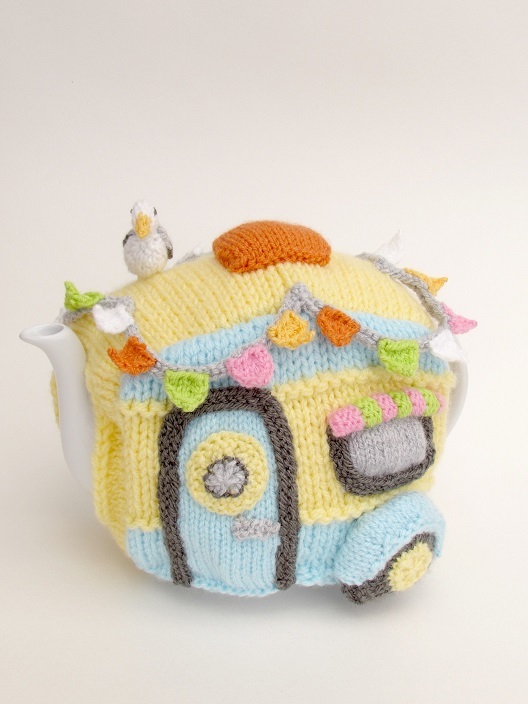 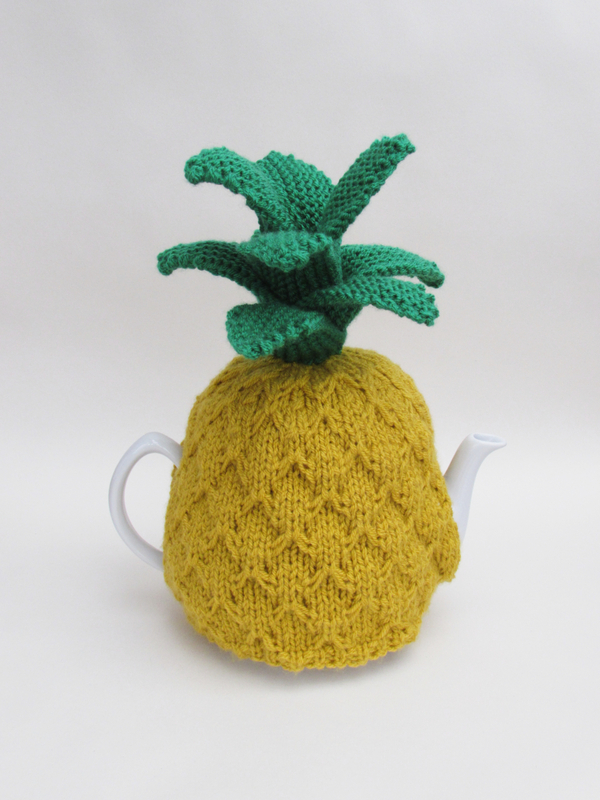 The customer had specifically asked for a large sized cosy for a large teapot, so this rendition of a pineapple tea cosy fits a large sized teapot that holds 10 cups. 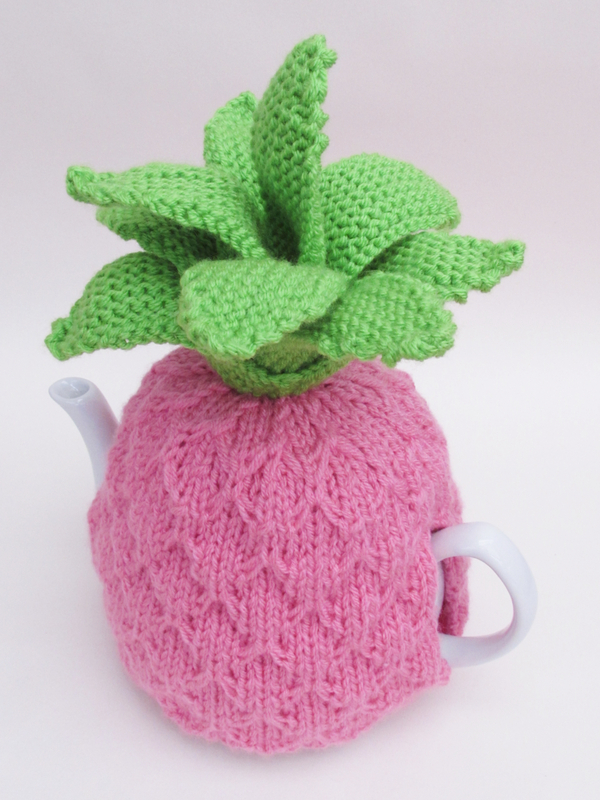 It also looks fabulous knitted up as a pink pineapple. 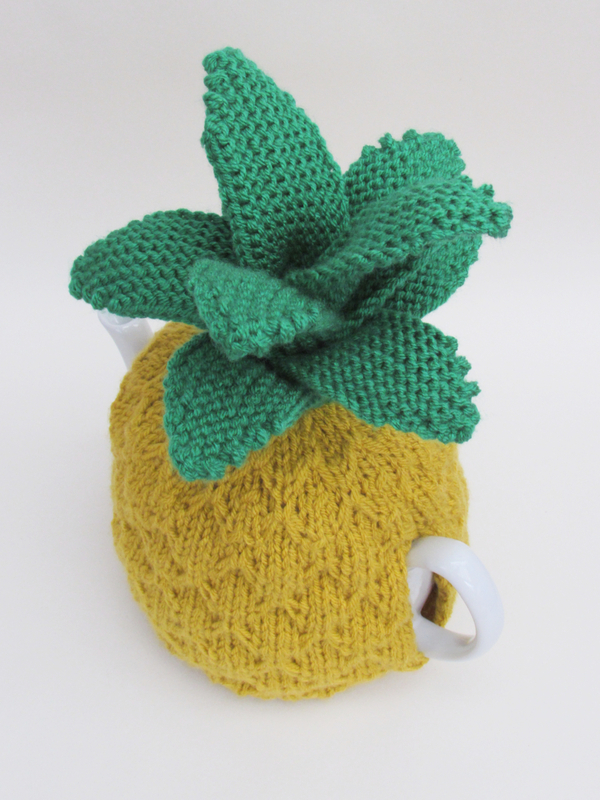 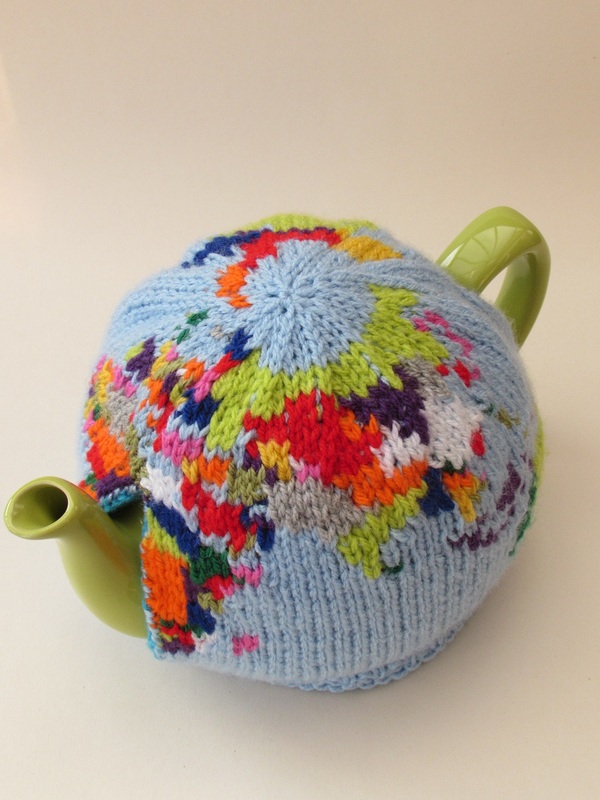 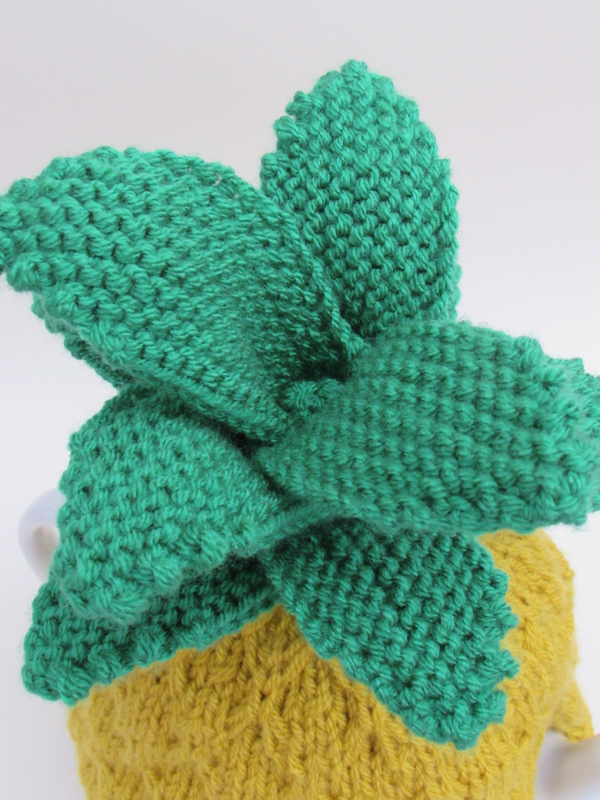 The pineapple tea cosy is Funky and Fruity.